Add this high quality Safavieh Courtyard area rug to your home for an instant splash of style. Decor does not have to be hard with this plush synthetic indoor/outdoor rug. This rug is comfy, machine-made, and stylish. Bring this geometric patterned blue rug into your living spaces for a contemporary design aesthetic. 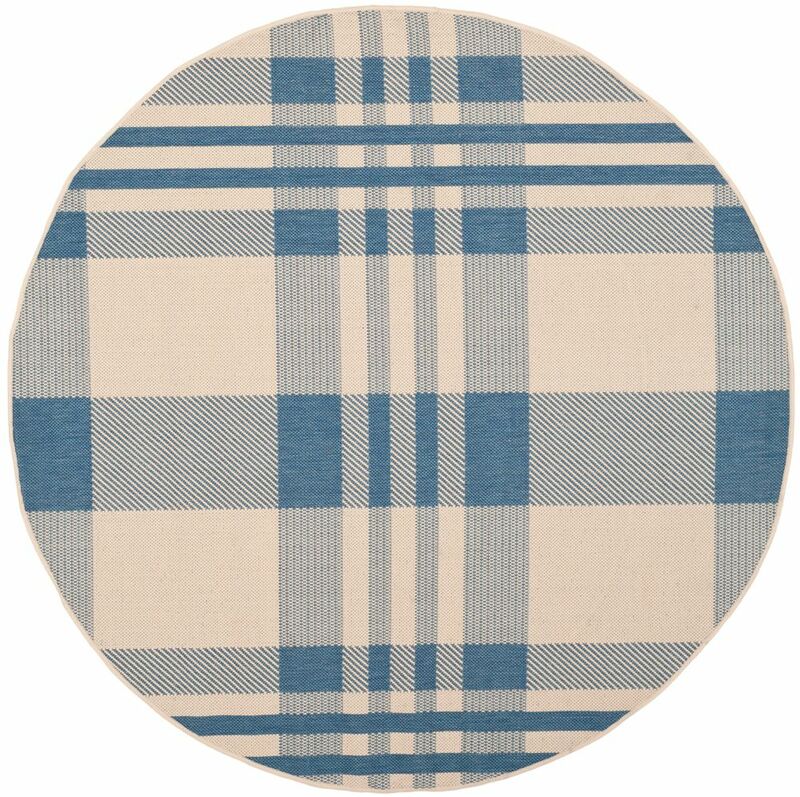 Courtyard Daphne Beige / Blue 5 ft. 3 inch x 5 ft. 3 inch Indoor/Outdoor Round Area Rug Add this high quality Safavieh Courtyard area rug to your home for an instant splash of style. Decor does not have to be hard with this plush synthetic indoor/outdoor rug. This rug is comfy, machine-made, and stylish. Bring this geometric patterned blue rug into your living spaces for a contemporary design aesthetic.